Our Nepal tours start and end at a heavenly 5-star hotel in Kathmandu, the Baber Mahal Vilas. A member of our TWT team meets you at the airport helps you with any details (e.g. obtaining local currency and/or a phone SIM card) and personally transports you to our luxury hotel for a warm welcome and soft landing after a long journey. The hotel is part of a peaceful enclave of wonderful and culturally diverse shops and restaurants. Our tour participants gather in the evening to get to know each other and receive an orientation for the tour ahead. The Kathmandu Valley has seven designated UNESCO world heritage sites among other important cultural sights. We visit many of these depending on local conditions, and meet with local experts in art, architecture, history, food, culture, nature, religion, business, and politics, often inviting them to dine with us. After three nights in Kathmandu we have gained some geographic and cultural bearings and have adjusted to this time zone and altitude (about the same altitude as Denver, CO). We embark via land transport to the east, to a mountain resort only a few hours drive from Kathmandu. 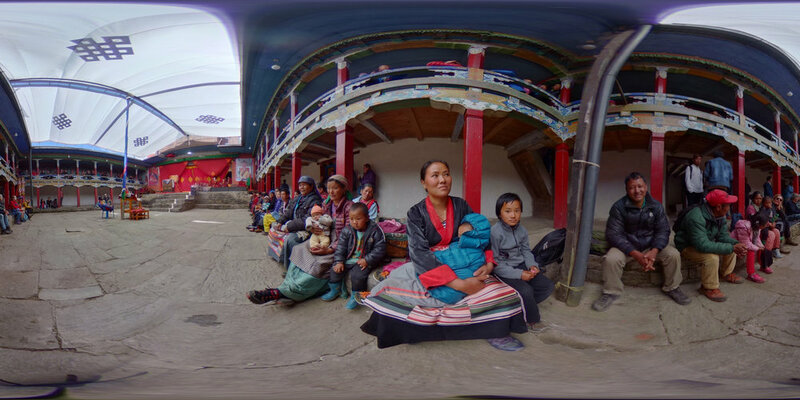 We spend a restful night and have breakfast before embarking on a day-long drive to the town of Phaplu in the Solukhumbu region near Mt Everest (about the same altitude as Santa Fe, NM). We enjoy the landscape changes and a variety of towns and rest breaks along the way. We end our long travel day at the Kyirmu Lodge in Phaplu (our base home for the next few days) with a delicious meal and hot shower. The next few days are filled with hikes, visits to local monasteries, and other cultural exploration activities interspersed with time for rest and relaxation. 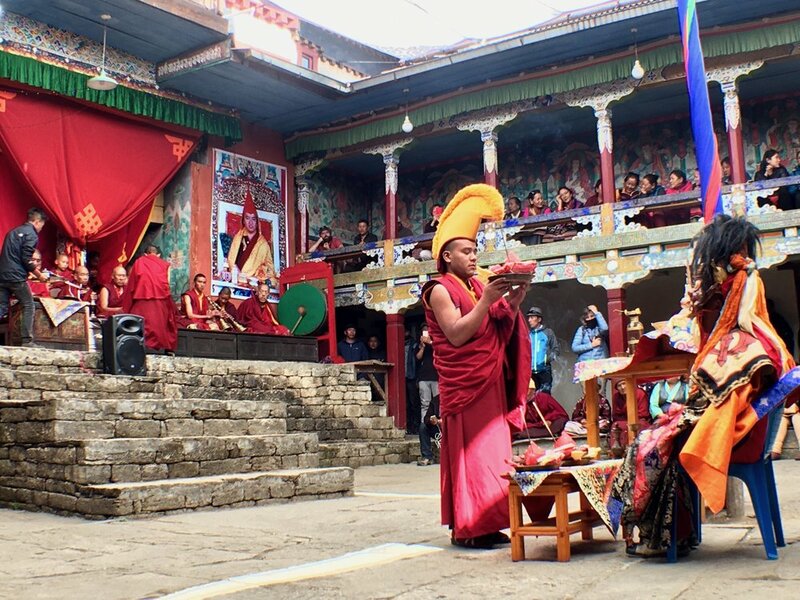 Attending a day watching the monks dance during the annual October Mani Rimdu festival at the Chiwong Tibetan Buddhist Monastery will be the culminating highlight of our time here. 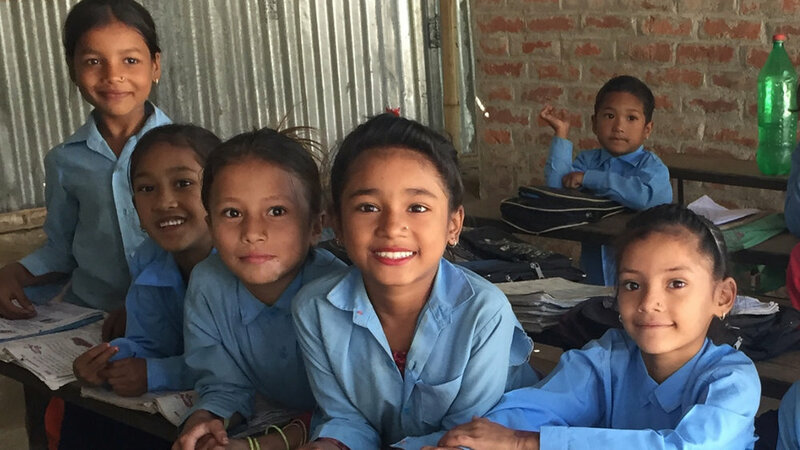 We drive from Phaplu to the town of Junbesi (our home base for the next few nights) with stops along the way in Phera and Najing farms & homesteads. Ang Chokpa and Master Kazi will host us at their Inn & Yellow Bench Cafe. We spend many cozy and warm moments in traditional Sherpa kitchens. 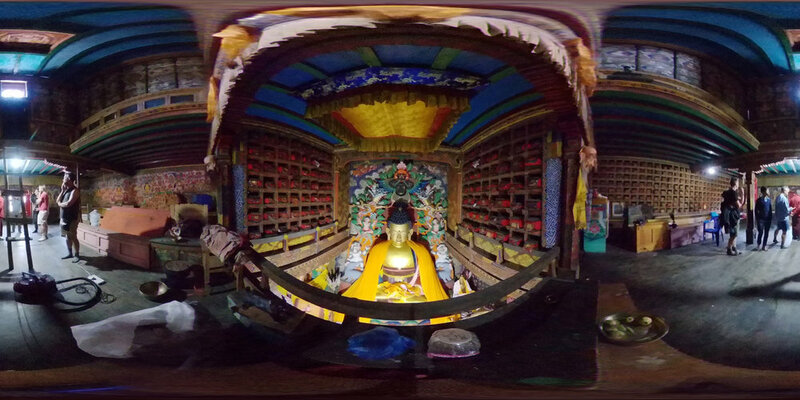 We visit the local area monasteries and lookout sites. 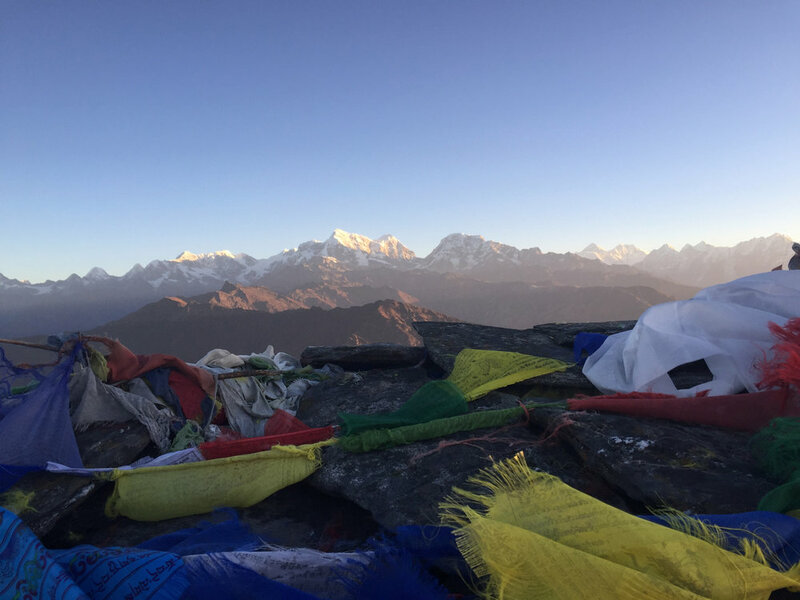 When the opportunity arises (usually two or three times on every tour), we rise before dawn for hike rewarded with a sunrise view of Mt Everest and a picnic breakfast and/or lunch. 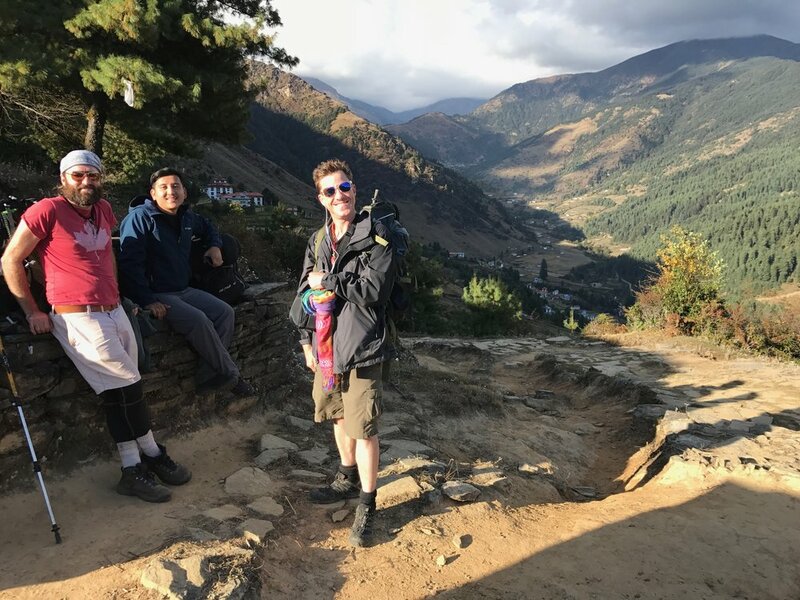 From Junbesi we take a charter helicopter ride to Hotel Everest View (HEV) (13,000 ft) and spend one night at HEV and one night in a rustic guest house while we explore the region with close-up views of Mt Everest and its neighboring peaks. We have been gradually acclimatizing to the rising altitude on this tour, and so we are not suffering from altitude sickness. 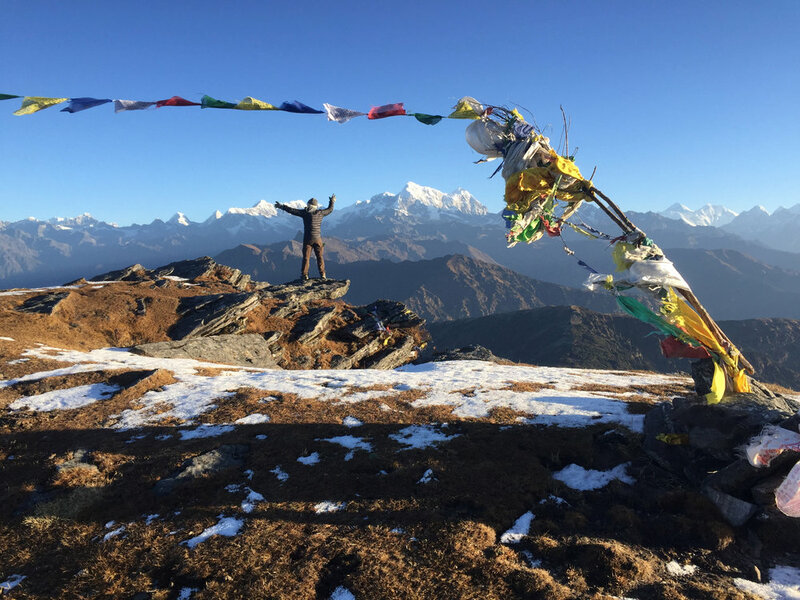 A charter helicopter briefly takes us to the shores of Gokyo Lake (17,000 ft) and then directly to Kathmandu for end-of-tour shopping, our farewell dinner, and our final night at the Baber Mahal Vilas.